Floors Decors and More also offers Decorative Cement Floors. Applications include basements, kitchens, garage floors, patios, driveways, walks and much more. You will meet with our expert on this product and pick out a design or use an existing one. A great flooring alternative or a great alternative as a countertop in your kitchen or bath. 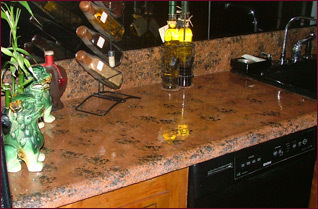 You can have the look of granite without the cost. Call (631) 470-3544 or email for your free consultation to meet with our decorative cement expert.